Francis Brabazon was an Austalian poet who as a young seeker found his way to a Sufi teacher and wound up, as a mature man, living as one of Meher Baba's mandali (close disciples) in India. His poems are a brilliant torch illumining the path to God. My own profound discovery of Meher Baba's Love, in 1971, took place in silence. (Meher Baba maintained silence for the last 44 years of His life.) Almost immediately thereafter, I learned of Brabazon and bought his book-length epic, Stay With God. Its black-and-green first edition book jacket is still a treasured memory. At this time in my life, I felt words couldn't be trusted. I had come to realize that practically all the words I'd ever spoken or heard had been contaminated by self-interest. This great book, with its praise of the God-Man in human history and its scathing criticism of Western civilization, taught me that words that proceed from the heart of truth can still have meaning. It sped me on the path to becoming a poet, myself. Brabazon's entire canon of writings, from his early Cantos of Wandering to In Dust I Sing, his Sufi-inspired "ghazals" that he recited to Meher Baba in the '60s, are full of fire and lyrical beauty. They reveal a rough-hewn man, fashioning himself in his early years and later being chiseled by the Godman into a piece of "singing dust". The poet died in 1984 at the age of 77. The books he has left us are great rivers of vitality that will channel Love and refresh poets and lovers of God for centuries. 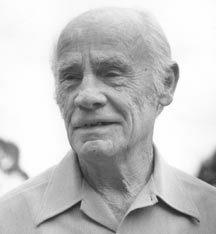 In 2002, Ross Keating, an Australian who worked as a student of Brabazon, published a lengthy, scholarly and wonderful biography of Brabazon, entitled Francis Brabazon: Poet of the Silent Word - a modern Hafiz. In 1998 Robert Rouse, a close friend of the poet's, published The Water Carrier, a memoir about the poet's life. Brabazon poems online at "Poetry of the HeartMind"
poetry, Meher Baba, children's stories, "The Hall of Famous Jokes", whimsical prose, paintings, and lots more! and this be the first you've read of him? If so, what do you think?